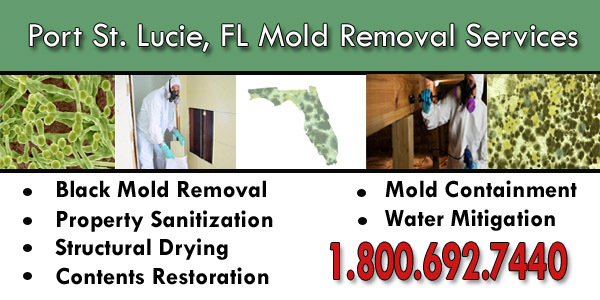 Mold is an invasive fungus that makes its way into homes and businesses throughout Florida every day. When this occurs on your Port St. Lucie property, it is vital to contact a mold remediation company that is experienced in the field of mold removal and environmental cleanup. That is where we come in! The Florida Mold Removal Pros have been in the Mold Remediation industry for over 20 years, helping home and business owners alike eradicate mold from their properties and restore their lives back to normal. Mold is a naturally occurring part of the environment that can easily grow if the conditions are favorable. Florida can be humid and warm for a large portion of the year, and that is the perfect circumstance for mold to latch onto a porous surface and begin growing sporadically. Because mold is a fungus that grows throughout the natural environment, it is nearly impossible to avoid it completely. The key is to take necessary precautions such as making sure that plumbing is up to date to avoid water leakages, have a de-humidifier on hand, and keep the air conditioning on to avoid a warm and moist atmosphere. If you do find mold on your property, it is important to call a team of professionals, such as Florida Mold Removal Pros, as soon as possible. Mold can potentially harmful to your health, and the Pros know exactly how to handle this fungus! Each mold project is unique and poses its own set of remediation challenges, and that is why it is in your best interest to leave it to the professionals when you determine there is mold present in your home or business. Some strains of mold may only cause mild allergic reactions and cold-like symptoms, but others can cause severe health issues, especially in children and the elderly. When eradicating the mold from your property, we use 100% eco-friendly products, meaning that it isn’t harmful to you or your family. When you call the Florida Mold Removal Pros, you can feel comfortable that the job will be done in a professional and efficient manner. All of our expert technicians have been certified through the Clean Trust (IICRC), meaning that they have undergone extensive training and know how to expertly remove the mold from your estate. We are available 24 hours a day, 7 days a week, and 365 days a year for all of your mold removal needs. Also, no job is too extensive or too small for us to handle. Our teams have worked extensively on all types of properties with all different scopes of mold damage and have successfully eradicated the mold. Did you know that mold only needs two conditions in order to multiply and completely infest an area of your home? As long as your home is moist, warm, and has porous surfaces (wood, drywall, insulation) then it can begin to grow rapidly. 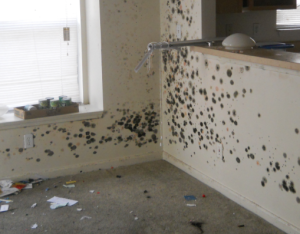 Mold is naked to the untrained eye until it becomes a larger problem. Once it multiplies enough, it can be seen on surfaces and can cause discoloration of the surfaces it affects. Also, it will emit a musty or sour odor that just won’t seem to go away. If you have those conditions present at your home, then chances are you may have mold. 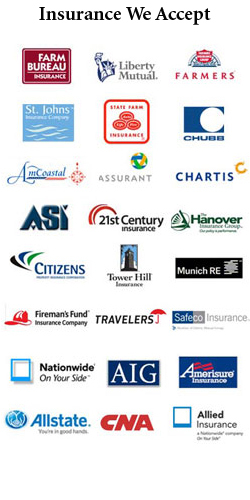 Here at the Pros, we want to help you restore your property to its fullest potential. We are fully licensed, bonded, and insured in the state of Florida, and can arrive to your location within the first hour of your call to our local dispatch center. We are the leading mold removal specialists in the Fort St. Lucie area, and we want to be the company you call in your time of need. Call the Florida Mold Removal Pros today!